Magic, Monsters, and Make-Believe Heroes looks at fantasy film, television, and participative culture as evidence of our ongoing need for a mythic vision—for stories larger than ourselves into which we write ourselves and through which we can become the heroes of our own story. Why do we tell and retell the same stories over and over when we know they can’t possibly be true? Contrary to popular belief, it’s not because pop culture has run out of good ideas. Rather, it is precisely because these stories are so fantastic, some resonating so deeply that we elevate them to the status of religion. 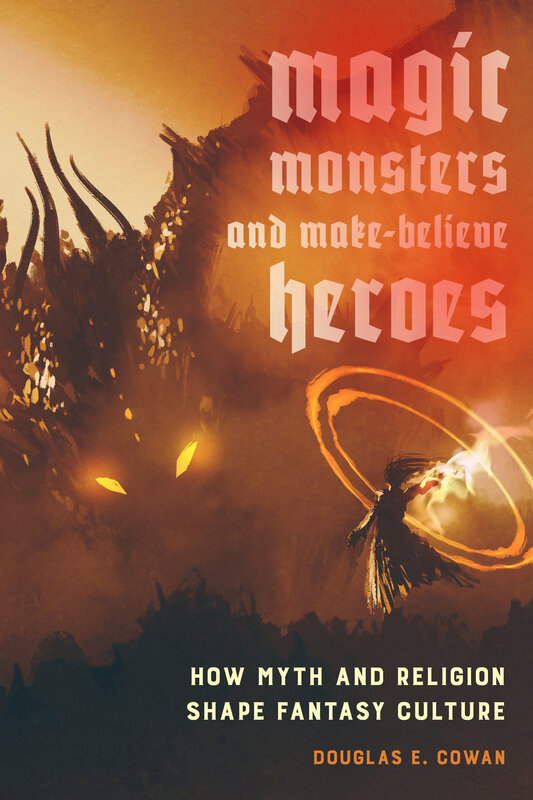 Illuminating everything from Buffy the Vampire Slayer to Dungeons and Dragons, and from Drunken Master to Mad Max, Douglas E. Cowan offers a modern manifesto for why and how mythology remains a vital force today. Douglas E. Cowan is Professor of Religious Studies and Social Development Studies at Renison University College. He is the author of Sacred Terror: Religion and Horror on the Silver Screen, Sacred Space: The Quest for Transcendence in Science Fiction Film and Television, and, most recently, America’s Dark Theologian: The Religious Imagination of Stephen King. 2. Once Upon a Time . . .
9. . . . Happily Ever After?